With the holidays behind us, the focus of many Americans turns to the NFL’s biggest event of the year, the Super Bowl. This year marks the 53rd annual Championship game, and it will be played on February 4th, 2018 in Minneapolis, Minnesota. “Super Bowl Sunday” is considered by some as an unofficial American national holiday. According to the USDA, it is the second-largest day for U.S. food consumption, after Thanksgiving Day. In addition, the Super Bowl has frequently been the most-watched American television broadcast of the year; Super Bowl telecasts account for 23 of the most watched television broadcasts based on overall viewership in U.S. television history. What does this mean for distributors? Stocking up for Super Bowl Parties of course! In America, Super Bowl Sunday has become one of the largest at-home events of the year. According to Statista, the estimated Super Bowl related consumer spending for Super Bowl weekend in 2017 was 14.1 billion dollars. The average party host will spend around $118 on food for guests, with chips and dip, popcorn and chicken wings likely filling every table. With a generally casual environment, this weekend is a huge opportunity for food service establishments to prepare and sell increased ready-to-serve foods! A party as huge as this, is a sales opportunity that’s hard to miss. Whether your customer is a grocery store, a restaurant, a bar, or a convenience store, sales are sure to spike in preparation of Super Bowl weekend. Now is the time to have these plans in place with your customers, to ensure sufficient supply of everything that celebratory super-fans will need for the big day. So what items are sure to be a hit? The following list covers the top ten foodservice items that are essential for your customer’s party needs. Empress food trays are perfect for holding a huge mountain of wings, side of nachos, or to simply hold a sandwich or burger. 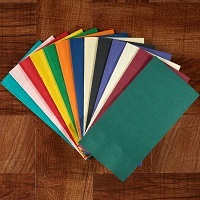 They’re clay-coated for leak-resistance, which also makes them compostable. 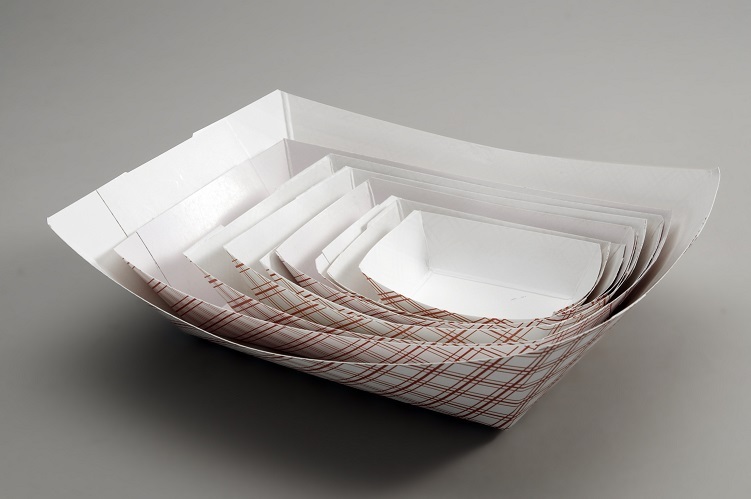 Available in foam or paperboard, clamshell containers are perfect for take-out leftovers and delivery food during the game. There are several options to choose from including those from Genpak and Pactiv, and sizes for everything from greasy burgers to chili-cheese fries…or a big salad, for those wanting a slimmed-down Super Bowl. Anyone hosting a Super Bowl party, whether at home or a restaurant, knows there can never be enough of these in stock– especially if they serve up saucy wings! Lapaco napkins can show off your team colors, and Nova is always an excellent economical choice for tidying up your face and hands. Keeping warm dishes warm for an extended period of time can be a challenge, but Sterno Candlelamp chafing fuel keeps those buffet snacks at the right temperature, so they can stay out into sudden death. The top-rated offense in the country should be scoring some major points in this Super Bowl, which means there will be plenty of celebrations! Hopefully your customers have enough Emi Yoshi party bombers for the big day- ideal for mixing up whatever combo your customers come up with. 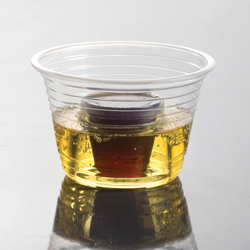 January is the biggest beer-drinking month of the year, which means your customers will want to make sure they have enough Empress or Fabri-Kal cold cups on hand to serve up all of their liquid libations. After all, what’s a Super Bowl Sunday without a Mega-Monday? The big game also means big subs, as well as veggie platters, tortilla roll-ups, cookies, and more! A Pactiv or Emi Yoshi platter will certainly do the trick to delightfully display your customers’ delicacies. Did you know the Super Bowl is the biggest pizza delivery day of the year? From personal pizzas, to party pizzas that feed the whole team, think of all those Southern Champion pizza circles that will be needed! Endlessly useful for lining food trays or baskets to guard against messes, McNairn wax paper sheets are like protective gear for the dishes serving all the wings that will be heartily consumed during the game. 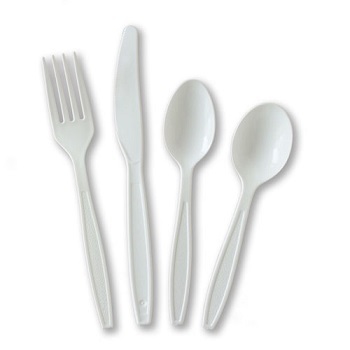 For everyone not eating wings, there is always a need for eating utensils- a need fulfilled with Empress cutlery. Available in bulk packaging, individually-wrapped, or as kits, it’s an economical stand-by that helps consumers avoid being penalized for illegal use of hands. Whatever your customers are serving for the Superbowl, these ten items will be a slam dunk…er, I mean a touchdown! If your customers don’t happen to be in the foodservice business, then they will probably be at home like most of us, cheering on our team, watching commercials, and stuffing ourselves silly on all of the wonderful foods that will be served on, or in, the products you sell. Get to Know your Rep! The Greg Howard Edition.